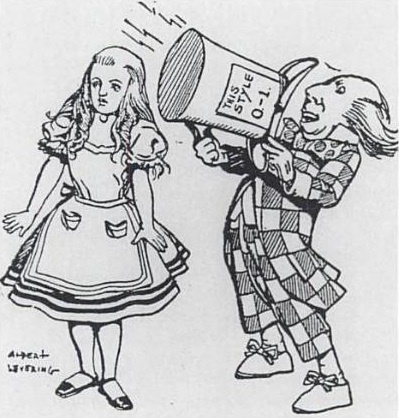 Alice in Escherland incorporating Funmaths: Celebrating the Worlds of Lewis Carroll and M.C. Escher. 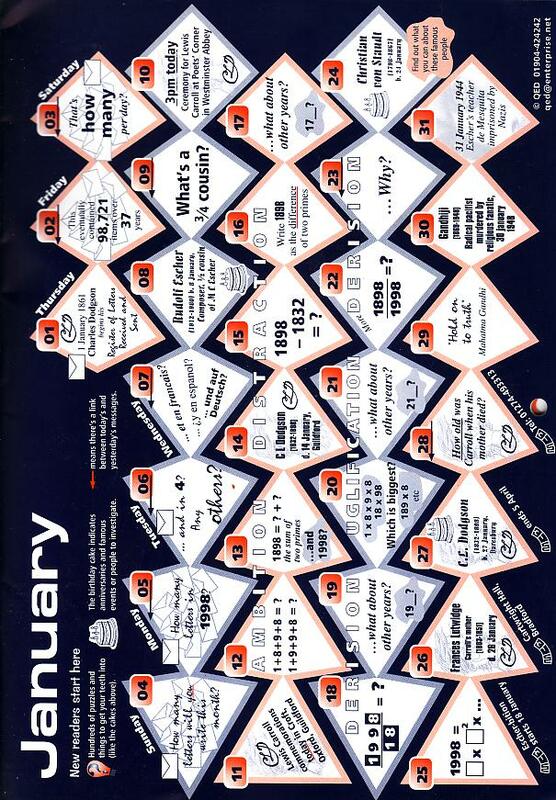 Jointly written calendar for 1998- by John Bibby, John Sharp and Edward Wakeling. 1998 marked both the centenary of Dodgson’s death and of Escher’s birth this calendar explores the life and works of them both, with important dates highlighted, and lots of puzzles and games. 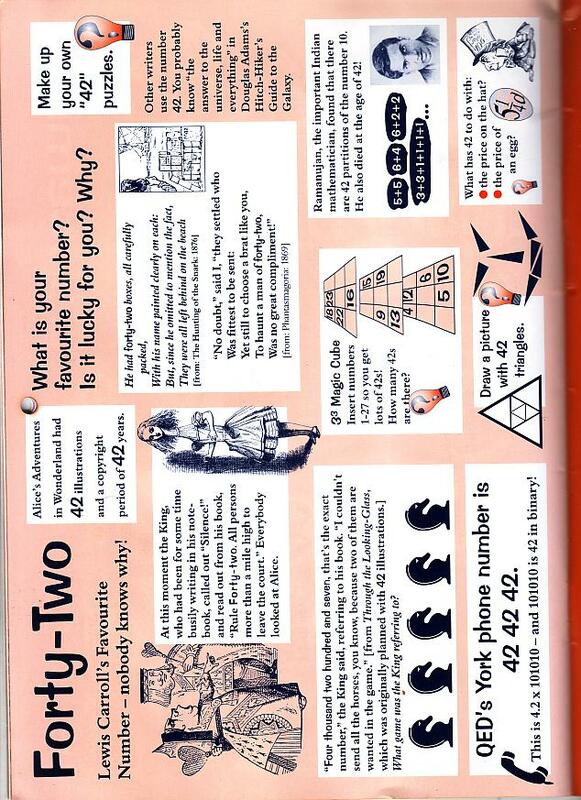 There’s a page exploring Dodgson’s interest in the number 42 (said to be the reason that Douglas Adams chose it as the ‘answer’ in the Hitchhiker series). There are also pages on Alice in Flatland, Escher and Möbius Bands, Morphing and Golden Rectangles.